Today we looked at emission spectra from different light sources; mercury, sodium, cadmium and oxygen discharge tubes, using a handheld spectroscope. Here is a video that shows you how to make a basic spectroscope at home. There are lots of guides like this online. You might prefer to make a larger spectroscope by using a Pringles tub rather than an old toilet roll holder as the main tube. 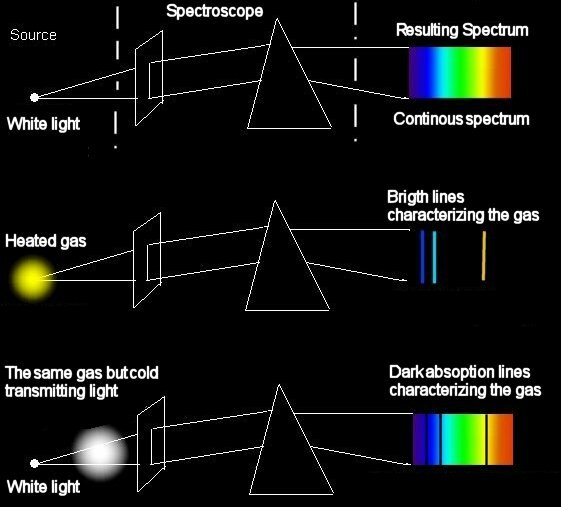 I have attached the handout on colour and emission of light from different elements below.